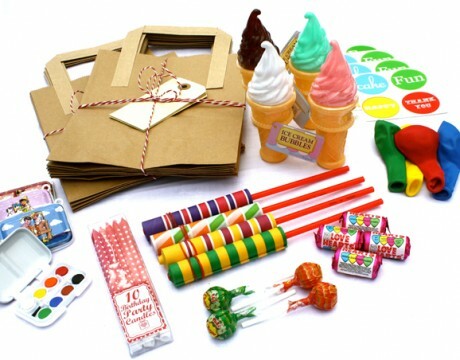 Mrs Fox's Classic Party Bag will suit little boys or girls. & sweets; lovehearts & chupa chup lollypop. The mini paint set is darling and the paper lazers are old fashioned but can amuse kids for hours. As can balloons, I can think of no cheaper toy for a 2 - 6 year old than a pack of balloons. Several of the items in this party bag have a EU Toy Safety regulation of 36months therefore they are deemed inappropriate for children under three years of age.